After 8 hours on the train, what we wanted to do when we arrived in Jaipur was to escape from the buzzing train station and get to our guesthouse instantly. It was 6:00 AM, the train terminal was teeming with passengers, touts and even cows. Touts following us as soon as went out from our train coach. Because it’s a habit for us to look for a cheaper ride, we went out of the terminal and went to the main road and from there we looked for a cheaper ride. We were surrounded by numerous drivers offering their auto-rickshaw to get to our hotel but we opted one that passes by the street. For situation like this – drained, jumbled, restless; nothing feels more comforting than to immediately get into a place that feels just like home, and that’s what we felt when we had our accommodation in Karan’s Guesthouse in Jaipur. 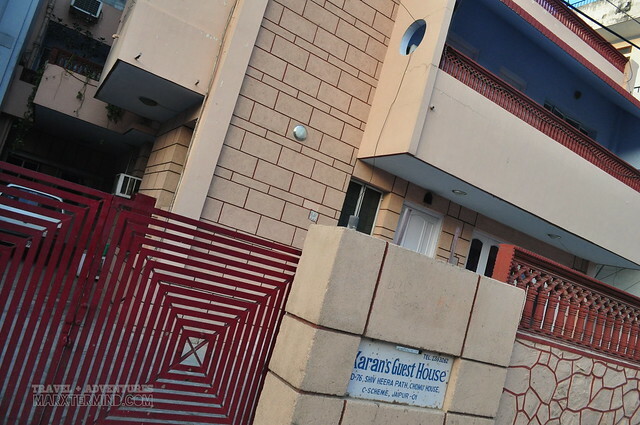 Karan’s Guesthouse is located at Chomu House Colony, C-Scheme, Jaipur; around 2 kilometers away from the train station. To avoid getting lost and wasting time roaming around the streets looking for the guesthouse, better tell your auto-rickshaw driver that it is situated in Chomu House and he’ll take you there straightaway. It’ll only take about 10 minutes to get there from the station, so maybe around Rs 60 or less is enough. We arrived too early for check in but Lokendra, the owner of the guesthouse, let us use our rooms straightaway. He even cooked breakfast for us. What a nice gesture, indeed. You may find Lokendra quiet most of the times but he’s a humble and helpful man pleased to serve his guests with their accommodation needs. Certainly, his hospitality adds up to the homey vibe of his guesthouse. 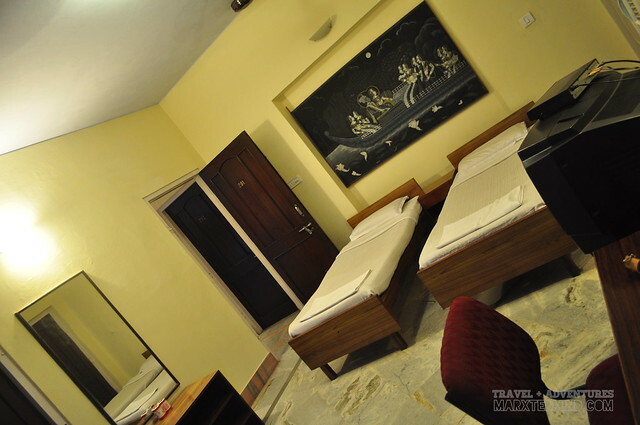 Our room is so spacious with two single beds, TV, air-condition and private bathroom. There’s even a table and a small sofa. They also have common area wherein you can lounge or have your breakfast, snacks or meals. 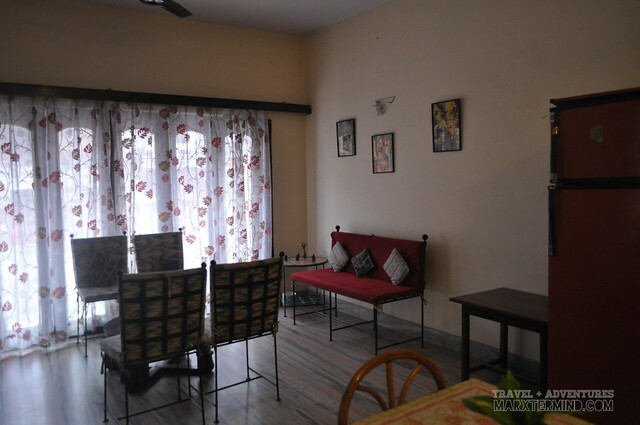 Karan’s Guesthouse provided us more than what we had expected for a guesthouse. True to their words, they provide relaxed stay through homey atmosphere and righteous service. The guesthouse seems like more of a residential building (so don’t get confused about it) making it for us to feel more at home. Add to that, it is located in a residential area making our stay calm, restful and at ease; away from the busy and loud streets of the city but still approximate from the tourist attractions and commercial areas.